In Oscar De La Renta Again! Having said that, it is disappointing to see Anu wear another Oscar De La Renta dress, similar to the one she wore on day one. Spotted a purple version of the same Manish Malhotra outfit seen already in blue on Kareena on the FHM cover. Like the purple better or the blue? Deepika attended the India Day celebrations in NYC as Grand Marshal and wore Manish Malhotra, Tarun Tahiliani and Shantanu-Nikhil. The sari had the typical trademark design of Manish Malhotra, which we just saw on Shilpa and I wish there was a full-length pic of the Shantanu-Nikhil lehenga, because we rarely see their traditional designs. 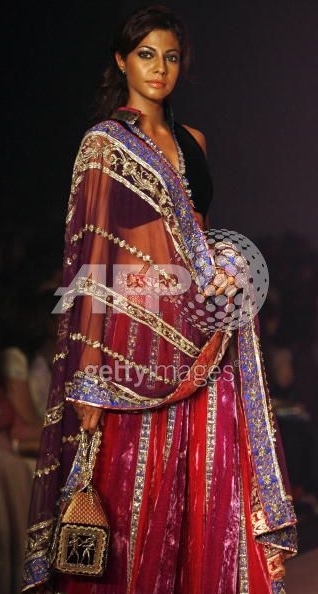 I personally thought the Tarun Tahiliani lehenga was too heavy-duty for a day-event, but what say you? P.S. I searched quite a bit and couldn’t find clear full-lengths of all outfits. If you do, do drop us a line. 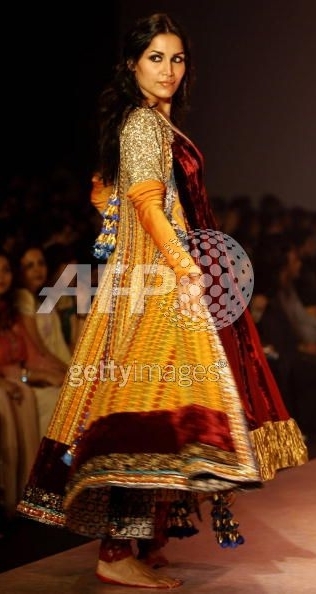 Shilpa In Manish Malhotra: Fab Or Drab? A new season of ‘Bigg Boss’ has started and is being hosted by Shilpa Shetty. For the very first episode, Shilpa wore a red Manish Malhotra sari which didn’t quite impress.